Private studio in two unit home. Property 1: Private studio in two unit home. Minutes to KSU in the heart of Town Center! Property 6: Minutes to KSU in the heart of Town Center! Elegant private suite with free breakfast, perfect for business or work trips. Property 8: Elegant private suite with free breakfast, perfect for business or work trips. 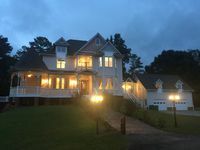 Super Comfy Kennesaw Home........3 minutes to KSU.........Sleeps 8 comfortably!! Property 11: Super Comfy Kennesaw Home........3 minutes to KSU.........Sleeps 8 comfortably!! 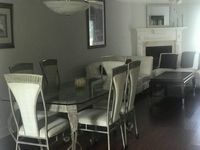 Lovely, Private Large Home/Apartment With Many Amenities. Property 16: Lovely, Private Large Home/Apartment With Many Amenities. Convenient to Downtown Atlanta & SunTrust Park - Pet Friendly! When me and my uncle decided to go down to Atlanta for a long weekend of concerts and some sightseeing in Atlanta, we looked for places to stay right in Atlanta but didn't find anything that we really liked. I started looking north of Atlanta and found property #7351588. The property was exactly what we were looking for and exactly what the owners said it would be in the listing. This is the perfect property 4-6 people. The drive back and forth to Atlanta was not bad at all and it was nice to get out of the City at the end of the day. Paul and Sue were very responsive and easy to work with. If I ever find myself back in the Atlanta area I would definitely stay here again!! The property was perfect for my needs. Clean, convenient and had adequate space for my group.